Here’s a timeless tribute to the most popular of the design elementals: the circle! 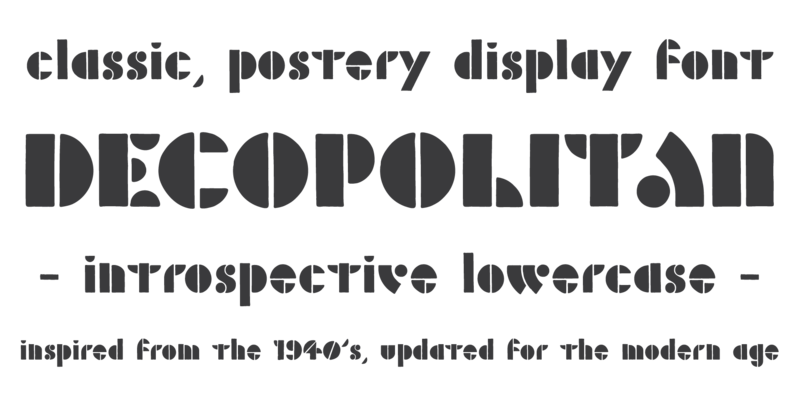 DECOPOLITAN is a classic, postery display font, based on simple geometric forms arranged in a thoughtful and dynamic way. This is a big strong display type with a vintage flair that can stand up to even the loudest (or subtlest) of Photoshop special fx. 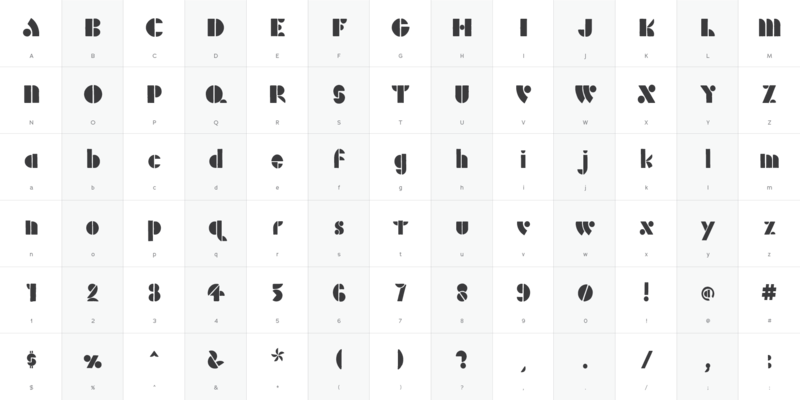 Inspired by a 1940s type specimen, updated for the modern age. You might think it’s retro, but who knows? It might be futuristic!